FaZe Clan showed the world their potential this weekend at BLAST Pro Series Miami. The $250,000 event featured some of their biggest competition with Astralis, Liquid, and Natus Vincere, and yet it was the international squad to hoist the trophy. 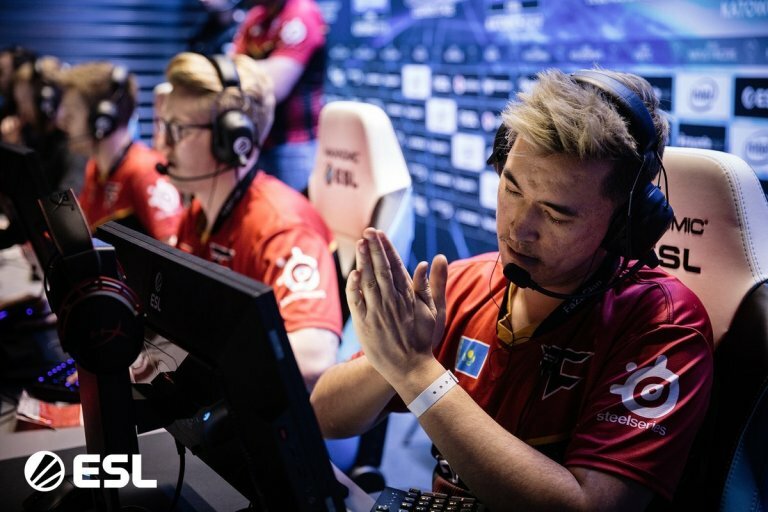 FaZe’s BLAST story:After an opening and brutally one-sided loss to Liquid, it looked like FaZe would disappoint once again. The team barely bounced back with a tie against MIBR, another team performing below expectations. Day one did not bode well for the rest of the event to say the least. Things were different day two, however, as the team came out with a reinvigorated performance, the kind we haven’t seen from this roster yet. They would pick up their first match of the day against Cloud9 with relative ease before going up against a strong looking Natus Vincere. A 16-10 victory would give them the confidence they’d need going into their match against the Danes of Astralis. Astralis’ day two struggles coupled with the increase in performance from a highly skilled roster in FaZe spelled disaster for the Danish side. 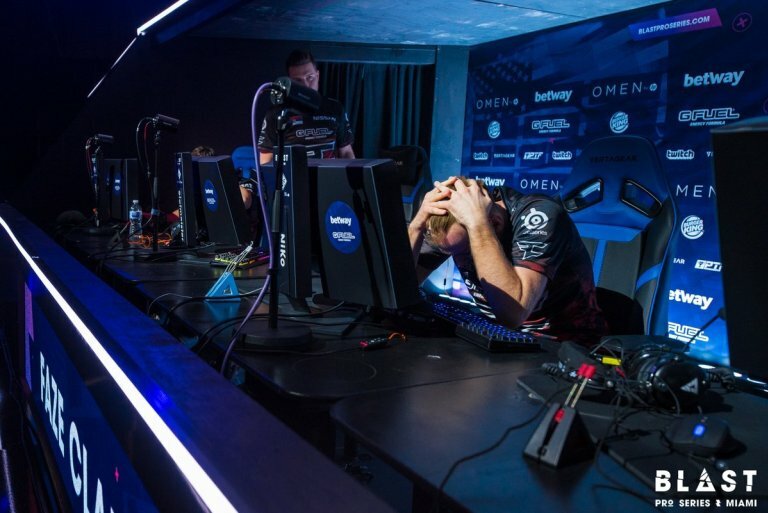 The end result would surprise many as Astralis fell 16-5 on Dust2. This would match FaZe up with Liquid again. After a tough first round loss, FaZe looked like a brand new team meeting the North American squad on Mirage where they’d pick up the win with ease 16-5. Next up would be Liquid’s map pick of Dust2. It was a highlight reel for Håvard “rain” Nygaard as he stormed off to a 20-0 scoreline. Liquid would make a second-half comeback attempt but ultimately the mountain would be too tough to climb and they would lose 16-12, giving up the series 2-0. The FaZe conundrum:This of course brings us to the more important aspect of this result. Can FaZe Clan replicate anything close to this level on a regular basis? If Astralis hoisted the trophy we all say “expected,” if Liquid wins, you could make a similar statement albeit with an addendum on the poor performance from Astralis. FaZe wins and you are left thinking has the roster finally cracked the code for its potential or is this just another blip in the radar that will fade from memory by the next event they bomb out of. The squad basically swapped places with Na’Vi from the StarSeries i-League season 7 finals. Both teams notorious for their swings in performance, Na’Vi dominated in route to a title in Shanghai while FaZe Clan three best-of-threes in a row to see themselves head home with their heads down. Prior to that the team attended BLAST Pro Series São Paulo where they only managed to pick up one win in six matches against a weak MIBR. The reason why these past results are important to mention is because of the closeness in which they occurred. It would naive to believe the team became great overnight. With three events taking place within a month of each other, this leaves very limited time for the team to have actually practiced and found the flaws in their gameplay at any level that could produce consistent results. Astralis, Liquid, and even ENCE at this point are considered such strong opponents due to their ability to bring a formidable performance to each event. Consistency is king. Astralis did not earn their era, their title as the best team CS:GO has ever seen because they won an event here and there. The Danish powerhouse provided fans with clinics over top tier opponents for a years time on a consistent basis including two Major trophies. FaZe’s identity is still in question. There was no gradual increase in performance, no signs that the team was starting to figure things out and this was just the last small leap to greatness. This was another case of five star players performing at a high caliber which is not and will never be the key to consistent greatness. Ultimately, only time will tell and we will get another taste of drug we call FaZe in just a few days during ESL Pro League season 9.